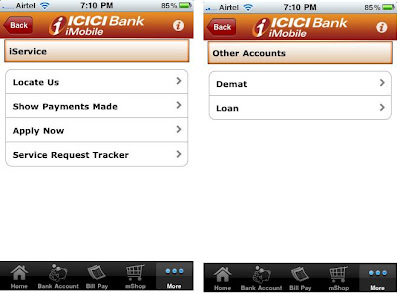 ICICI Bank is providing a mobile app iMobile for its customers. 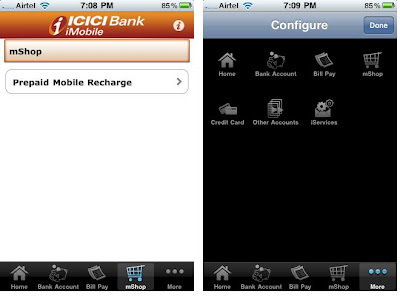 The App is available as java app for all symbian mobiles, and there is also an iPhone version of the same. (Check here whether your device is supported). 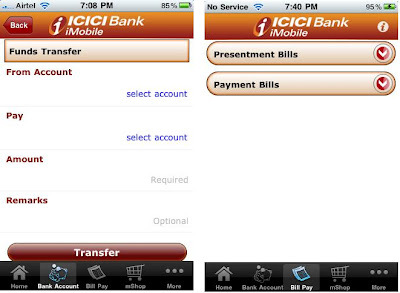 ICICI Bank is the first bank in India to provide such a useful iPhone app. Update: ICICI iMobile Android app is now available. More details. 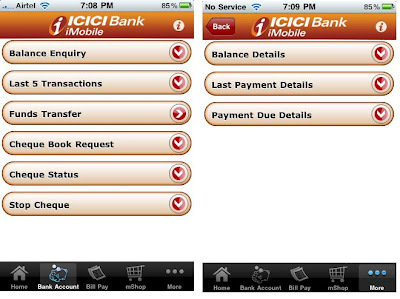 In order to use iMobile, you should first have registered for mobile banking. 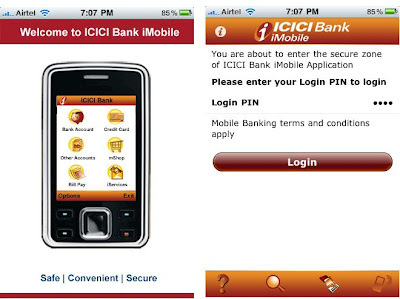 Then, for activating iMobile, send an SMS from the registered number saying imobile to 5676766. 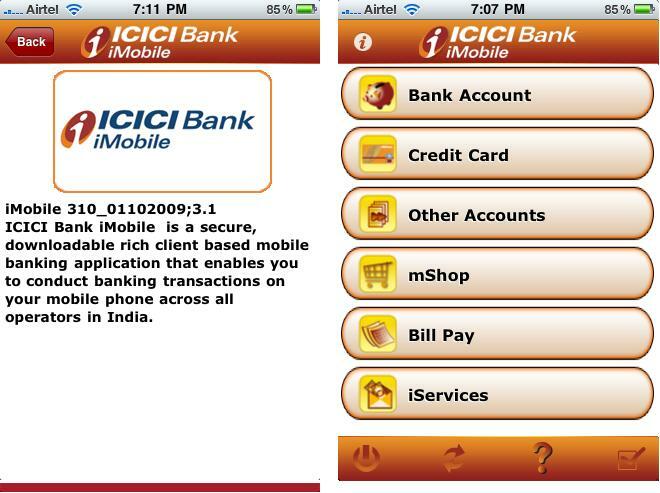 You will get an activation code, which is need to activate the iMobile app. Even though you should have registered for Mobile banking, the app need not be installed in the registered phone. You can install in any iPhone / iPod touch. 1. 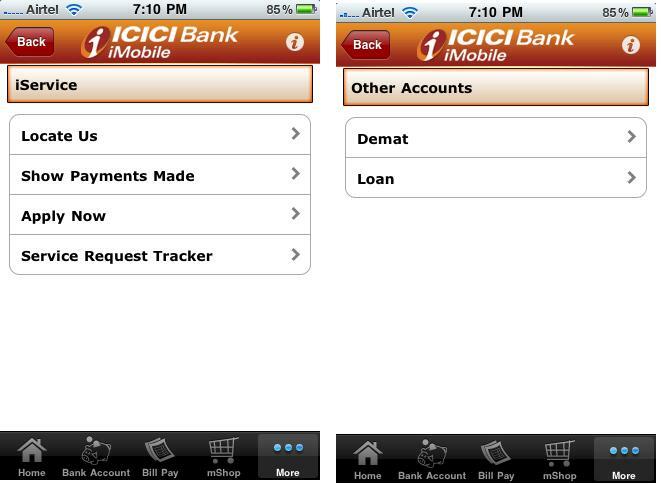 Download the iMobile app from iTunes store. 2. 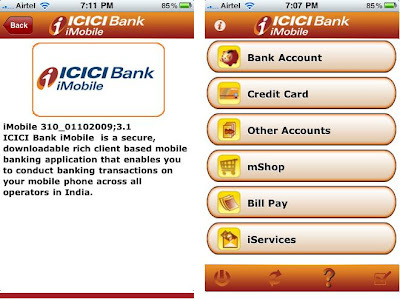 Send an SMS, imobile iphone to 5676766. 3. You will receive the activation code. 4. Open the app, create a new PIN for the iMobile app, and enter the activation code received. 7. Locate a ATM, Branch. Try using it and let me know, how it is. did you send from the registered mobile number? same is happening with me… i spent all week sending sms. I have Xperia X10i. 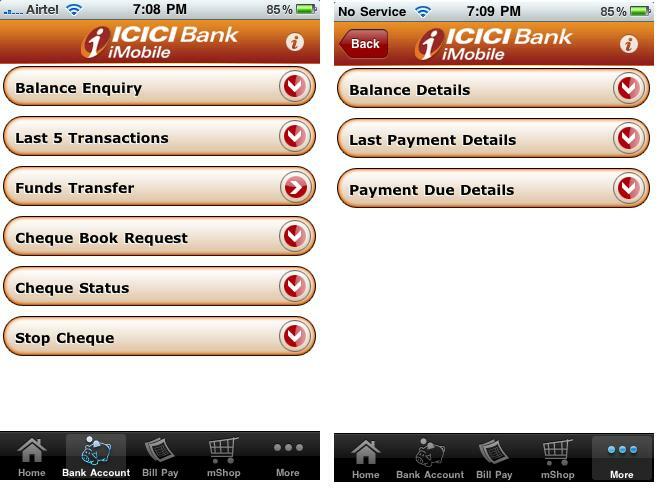 Can I have this ICICI app to my OS. It's been more than 6 months, and still not developed? ICICI not bothered about developing for Android OS? oh. bad.. I thought it would work in iPod as well. i can't download the app becz i dont have Indian app store account n this app is not available wit US app store.Ca n any body give me the link so that i can download it directly. It is not fetching accounts for me!! The app crashes in iOS 5. As of till date no update has been available. Hey it crashed when ever i try to enter the pin. i mtrying to access it from australia. 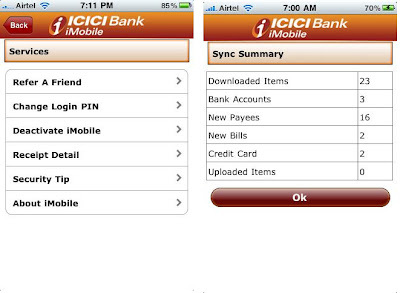 This is a very good news on ICICI Bank is providing a mobile app in Imobile for its customers its a nice facilities for icici bank customer and very easy to operate on his bank Account, i think all bank provide the this type of facilities.